Plant-based meat products are made to mimic properties found within natural meats and are considered to be meat substitutes. Compared to meat products, plant-based meats— for the most part — offer consumers a more sustainable and environmentally friendly line up of meat alternatives. They are made using plant and other non-animal products to look, taste, and feel like meat products. Examples include: seitan, falafel, tempeh, Tofurky, Beyond Meat burgers, and Mock duck. 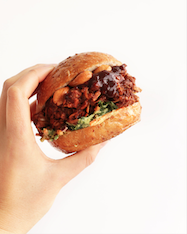 Plant-based meats are made to resemble meat products in texture, flavour, and appearance. The primary ingredients in plant-based meat substitutes are typically soybeans (and other legumes), wheat gluten, lentils, and tofu, yuba, tempeh, and a variety of nuts. 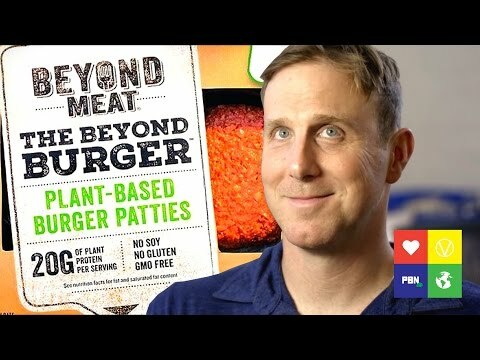 Building meat from plants with Beyond Meats Ethan Brown. Plant-based meats present a variety of advantages and trade-offs to traditional meat products. For example, most plant based meats end up being grey in colour which is unattractive to some consumers and has been labeled the "cosmetic colour problem". Another problem with plant-based meats is that on top of requiring colour additives, they are often highly processed foods with a lot of additives in them compared to traditional meat products. There are companies working to solve the cosmetic colour, processing, and additives problems of the plant-based meat industry. For example, ﻿Naturex is a company working on solving these problems by manufacturing specialty natural food colouring additives, and Impossible Foods is using cellular agriculture to make heme, a product that is found in blood, and include it in their plant-based burger products. Both Naturex and Impossible Foods are working to improve the attractiveness of plant-based meats to the average consumer. Plant-based meat products in this category are specifically made to replicate features of meat such as texture, flavour, and aroma. 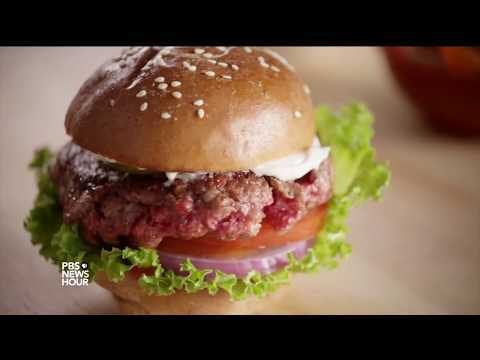 Creating plant-based meat alternatives that mimic every characteristic of a chosen meat product is difficult due to the molecular complexity of meat . There are many molecules interacting with each-other that form the structures and chemicals found within meat products. Plant-based meats made to mimic meat deal with the problem of complexity by attempting to push the boundaries of what is considered to be "meat" based on molecular structure and composition instead of where it came from; be it plants or animals. Products that fall within this category include: the Beyond Burger, the Impossible Burger, Ahimi, and others. Due to the difficulty of replicating the unique characteristics of meat, many companies have made products meant to be plant-based meat alternatives that are not made to mimic meat products. Plant based meat alternatives that fall into this category include: veggie burgers, veggie sausages, veggie hot dogs, tofu, tempeh, and others. There are many meat products that are consumed for their textures, or used as binding agents, that are added to products such as prepared foods. Plant-based meats in this category place most importance on texture instead of flavour. They are frequently used to achieve price parity with meat products, increase shelf life; and retain their shape and flavour after freezing, thawing, and cooking. Typically both meat and plant-based meat products in this category are not the main feature of the dish being served. Products in this category include a wide range of fresh and frozen prepared meals . ﻿Fusarium venenatum is a fungus containing high levels myco-proteins that was discovered by British scientists in the early 1960's. Shortly after the discovery of F.venenatum, scientists began to research the biological properties — and safety — of Fas an alternative protein source for human consumption. In 1984, after over 12 years of research, the Ministry of Agriculture, Fisheries and Food in the United Kingdom approved the commercial sale of myco-proteins found in F.venenatum. After approval by the British government fungal myco-proteins began to be approved by governments and included in plant-based meat products around the world. Wild, F., Czerny, M., Janssen, A. M., Kole, A. P., Zunabovic, M., & Domig, K. J.